Elevated Disc Golf Events and Lancaster Area Frisbee Sports are proud to present this event series showcasing the best courses in Lancaster County. 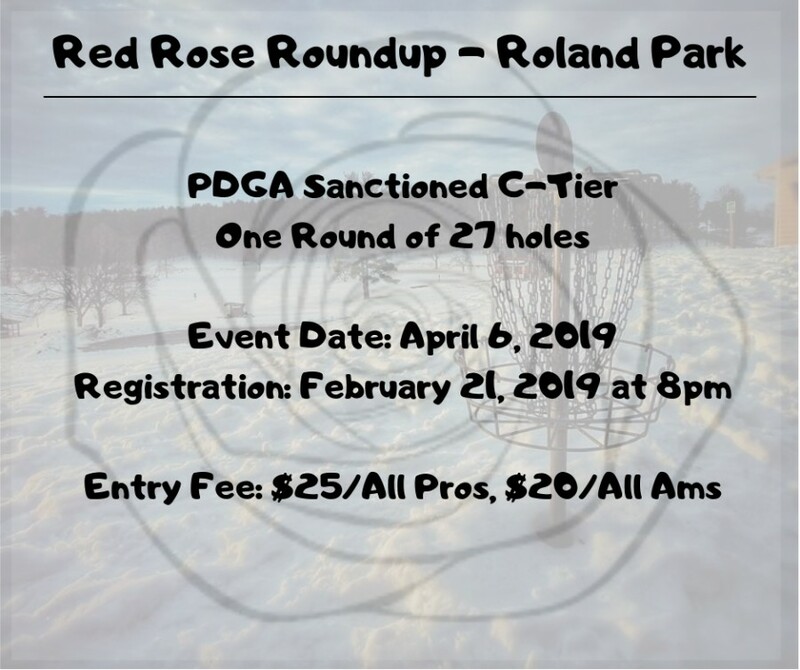 This event will be played as a sanctioned C-Tier consisting of one round of 27 holes at Roland Park in Akron, PA.
All divisions are welcome but there must be three players to make a division unless an exception is granted by the event TD. A portion (around $3) from each player's entry fee will be reserved for prizes for the series finale. Pro's will be playing for cash, amateurs will be playing a trophy only event. The player's pack will be valued at greater than the amateur player's total entry fee.